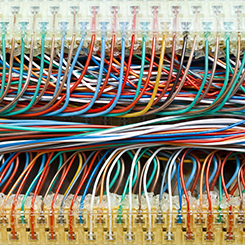 For more than 14 years, Complete Wiring has worked with leading telecommunications companies, designing and manufacturing quality cables, wiring harnesses and looms. We have had the privilege of working with telecommunications companies such as Telstra, Ericsson Australia, B&R Enclosures and Rittal. Developing quality custom designed cables, harnesses and equipment made specifically meet client requirements. Manufacturing, testing and quality checking mounting units, including metal work and protection systems. Designing and supplying the electronic engineering component for products. If you have a project that you would like to discuss with us, please contact us on 07 3245 4922. From mining companies, to safety companies supplying products and services to the mining industry, Complete Wiring manufactures wiring and cable solutions of the highest quality. 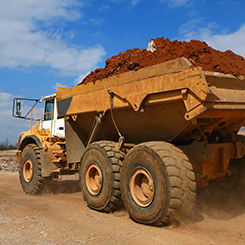 As a long term supplier to the mining industry, we understand what the needs and expectations are for the cables, harnesses and looms that are used in this industry. Developing cables that are 100% defect free, for companies specialising in safety products and services. Developing cables designed to withstand extremely harsh environmental conditions. 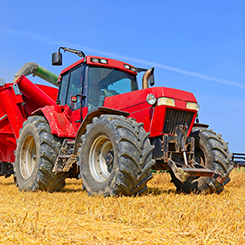 Complete Wiring has had the privilege of providing custom cabling solutions to companies in the Agriculture sector. 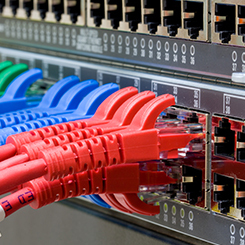 Developing custom cables used in equipment designed for monitoring, control and mapping. Design and developing cable systems for hay bale retrieval and automation. From railway manufacturing to heavy transport after-market accessories, Complete Wiring has had the privilege of working with a range of different companies in the transport sector. 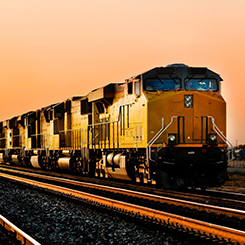 Developing custom cable sets for locomotive units used in the mining sector in Western Australia. Developing and supplying harness sets to after-market accessories producer for Power Take Off units in heavy transport as well as load cranes and lighting looms. Outside of the key industries we service, Complete Wiring has also been involved in developing cable solutions for companies from various other industries. Recreational Sports Industry: Designing and manufacturing a special cable for a recreational diving company that makes Surface Supply Breathing Systems. The cable we designed and manufactured was to an exacting standard to handle the harsh conditions often found in marine applications. Aluminium Smelter Project: Co-designing and manufacturing high spec units for marshalling boxes and communications cable in harsh environments while reusing as much equipment as possible while having a “hot swapout” of multiple control systems to lessen production impact. Remote Communications Sites: Manufacturing and capturing all necessary data to ensure consistent production of control panels for solar powered sites and the communications that are also included. Large Machinery Industry: Manufacturing a complete wiring harness for a crane that had gone under in the 2011 floods. This required a copy of the existing harness as no drawings were available.